Self storage is becoming a popular choice as people find it hard to manage the space they rent, own or lease and look for a solution to manage their cluttered personal and business lives. Absolute Storage offers you a cost-effective, flexible and secure storage alternative, at sizes to suit your needs and prices to suit your pocket. Just because you've stored your possessions, doesn't mean you don't stop caring about what happens to them. Here at Absolute Storage, we feel exactly the same way and will look after your belongings as if it were our own. 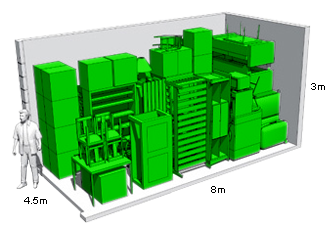 Absolute Storage offers you a host of innovative features. You can book a variety of units to suit your business and household storage needs directly online. So, regardless of whether you need one or one hundred storage units, we at Absolute Storage are sure of providing you with all your specific business and household storage needs. A small unit can store the contents of a 1 bedroom house or apartment. Also the perfect size for extra business inventory or office equipment. 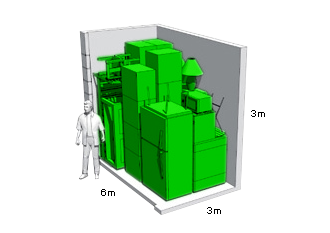 A medium unit can store the contents of a 2 bedroom house. Also perfect for a small business or distributer. 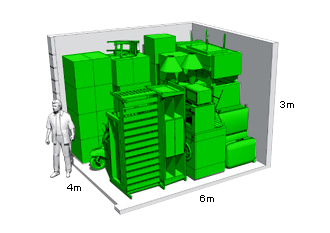 A large unit can store the contents of a 3 or 4 bedroom house. Also perfect for a small business or distributer. Absolute Storage is well situated and close to Bedfordview, Edenvale, Eastleigh, Highway Gardens, Sabenza, Isando, Primrose and Germiston with the R24 and N12 a stone's throw away making Self Storage easy and convenient for you!